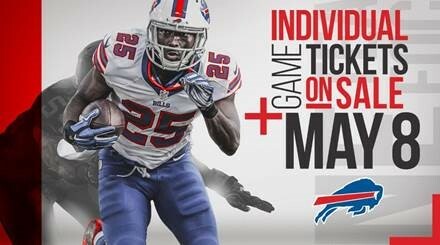 Bills fans, save the date! Individual game tickets and group tickets will be going on sale this Monday, May 8. For the first time ever, the Bills will be using a dynamic pricing model for each Bills home game in the 2017 season. As a result, ticket prices will be adjusted in order to reflect demand and are categorized into one of five pricing tiers. For more information on 2017 individual game pricing and how you can purchase tickets when they are available, click here.